Are you and your family ready to pack your bags and move to the Sunshine State? Whether you’re planning your big move to Florida for work or simply to enjoy the year-round warm weather, Simonik Moving & Storage can provide you with the professional moving services you need to take all of the things you know and love with you. We’ve been providing professional moving services to families like yours since 1977 and are first in class when it comes to relocation expertise. Our BBB accredited company is devoted to providing quality and professionalism to our customers. 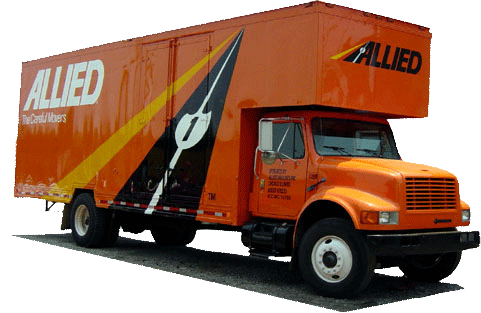 As an agent for Allied Van Lines, we’re part of a nationwide network of moving and storage professionals, making us an ideal choice when moving from NJ to Florida. When you move from NJ to FL, things can start to get complicated if you realize that you and your household items will arrive at different times. When you work with Simonik Moving & Storage, we’ll work on a schedule that fits your plans, storing your items at one of our secure facilities until you arrive. Our containers are approved for international shipping, and we can securely store them for as long as you need. We serve homes throughout North and Central Jersey; providing residents of Hunterdon, Mercer, Middlesex, Monmouth, Morris, and Somerset counties with the finest moving services in the state. Our certified ProMover status with the American Moving & Storage Association keeps us up-to-date with the latest moving technologies and practices of top-quality moving companies across the nation. This ongoing development has lead to achievements like our ‘Mover of the Year’ award from the New Jersey Warehousemen and Movers Association. When you need a team to complete your New Jersey to Florida move, there’s simply no better choice than our team. Simplify your moving plans and allow Simonik Moving & Storage to help you complete your transition. With comprehensive moving services and custom moving plans, New Jersey to Florida moving has never been easier. Call now to learn more about our moving services, or request a free no-obligation moving quote by filling out our online form.